Hyderabad: Indian Institute of Technology Hyderabad launched a Tinkerer’s laboratory (TL) for students to develop ‘Do-It-Yourself’(DIY) projects driven by their own ideas. The laboratory comes equipped with a wide variety of scientific instruments and will help students explore their interests beyond the boundaries of curriculum. Dr. Hemant Kanakia, General Partner, Columbia Capital, U.S., and an IIT Bombay alum (1975 batch) inaugurated the laboratory today (Friday, 1st March 2018) in the presence of a host of dignitaries. The projects can vary from simple DIY projects in the field of electronics, mechanical, computer science to complex projects. There is as such no shortlisting process and the laboratory is open to all students of the institute, without any kind of filtering. Interested students only need to contact TL team for assistance. This Laboratory will help students to utilize their unstructured time in making innovative projects, which will in turn help the student community of IIT Hyderabad to grow. The TL is located right in the middle of the hostel complex, which makes it convenient for students to access it. Students are very creative in the hostels. 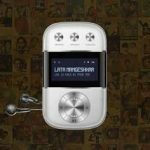 TL is the beginning of cross pollination between the hostel environment and the class room. 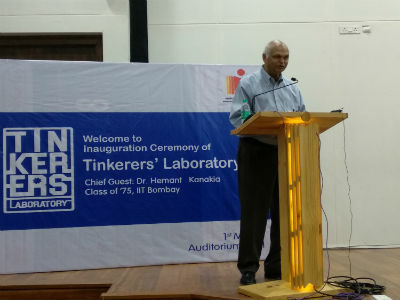 Speaking on the occasion, Dr. Hemant Kanakia, said, “We started as a group from IIT Bombay, Batch ’75, and set up the project of Tinkerer’s Lab four years back, and this year we have extended it to IIT Hyderabad and IIT Gandhinagar. Learn to build things as early as possible to get to the top in your desired field of engineering.” The Tinkerer’s Lab is being funded by Dr.Hemant Kanakia and his other batch mates from 1975 batch.